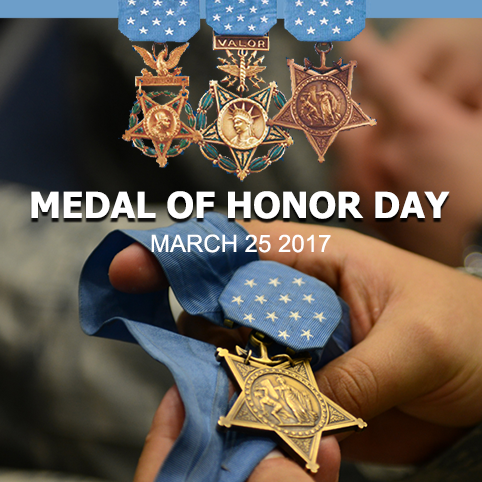 National Medal of Honor Day is officially observed on March 25th. 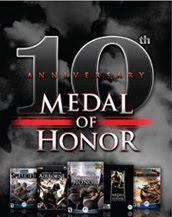 The Medal of Honor is the highest distinction that can be awarded by the President, in the name of the Congress, to members of the Armed Forces who have distinguished themselves conspicuously by gallantry and intrepidity at the risk of their lives above and beyond the call of duty. “Hard times ask us to put a greater good before our own interests. It is sometimes physically or emotionally painful. 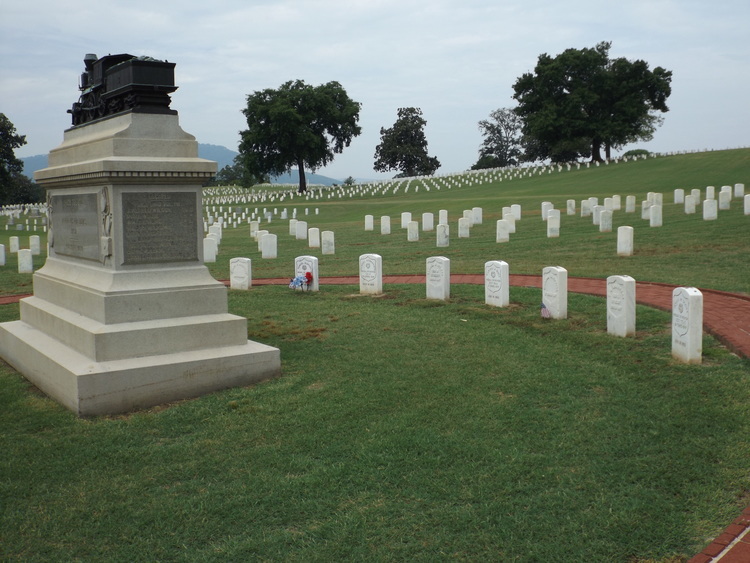 Yet throughout history, you will find common men and women who fought selflessly in a variety of ways for something so much larger than just their own benefit. Today, we’re fighting terrorism and the spread of tyranny. We’re challenged by market upheaval, joblessness and perhaps hunger. 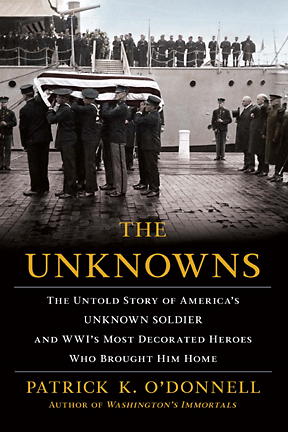 But the human spirit is resilient and can withstand more than sometimes we are able to immediately comprehend. 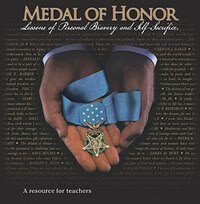 Medal of Honor Day was established by Public Law 101-564 to both honor the recipients of the Medal of Honor and to raise public awareness of the importance of the Medal of Honor. Public Law 101-564 started as House Joint Resolution 652 during the One Hundred First Congress of the United States of America. The bill was sponsored by Representative Rod Chandler of Washington with 151 cosponsors and introduced in the House of Representative on September 24, 1990. House Joint Resolution 652 became Public Law 101-564 on November 15, 1990. “One Hundred First Congress of the United States of America AT THE SECOND SESSION Begun and held at the City of Washington on Tuesday, the twenty-third day of January, one thousand nine hundred and ninety. 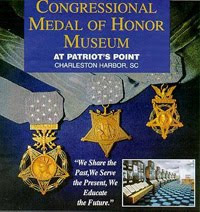 An Act To designate March 25, 1991, as National Medal of Honor Day. 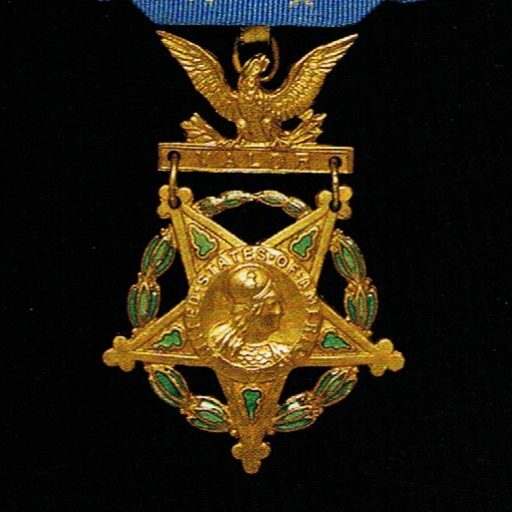 Whereas the 1st Medal of Honor awards were presented to 6 men on March 25, 1863, by the Secretary of War; Whereas it is appropriate to honor the heroic recipients of the Medal of Honor; Whereas public awareness of the importance of the Medal of Honor has declined in recent years; and Whereas the designation of National Medal of Honor Day will focus the efforts of national, State, and local organizations striving to foster public appreciation and recognition of Medal of Honor recipients: Now, therefore, be it Resolved by the Senate and House of Representatives of the United States of America in Congress assembled,That March 25, 1991, is designated as ‘National Medal of Honor Day’, and the President is authorized and requested to issue a proclamation calling on the people of the United States to observe the day with appropriate ceremonies and activities. Many thanks Mr. Marston for bringing this error to our attention.